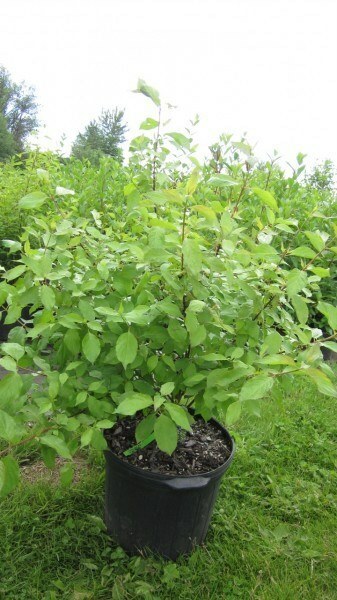 Habit: deciduous large shrub or thicket-forming bush with reddish brown, arching stems and grayish green leaves. The elongated leaves are pointed at the tip, with indented veins. Inflorescence is a terminal cluster of small creamy white flowers that ripen into small bluish white berry-like drupes. Leaves turn bright red in the fall. Blooms between March and May. Ecology: found from Southern Oregon into California in riparian zones, and moist places up to elevations of 3600 ft (1550 m). Growing Conditions: full sun to partial shade, in moist to wet soil. Tolerates seasonal flooding. Smooth dogwood reproduces through underground rhizomes, forming large clonal thickets. This plant is attractive to bees, butterflies and birds.